Learn everything about Current Division in Parallel Circuits. Question: Does Electrical current splits in series circuits? Answer: No, electrical current always remains same in series circuits. Current only divides into parallel circuits. 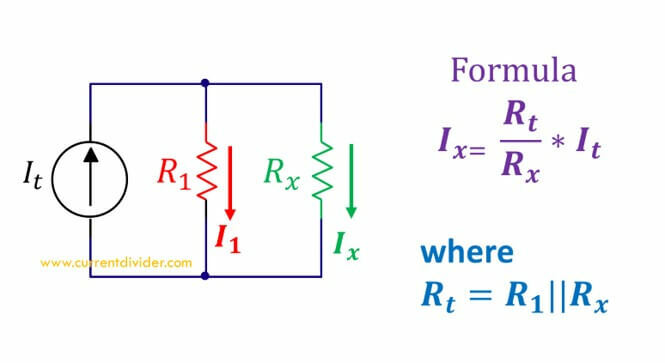 The actual current being divided into parallel circuits can be calculated using current divider rule and CDR formulas. A fundamental rule of Electrical Engineering which explains the relationship of current in parallel circuits. A circuit in which head of all components share one common node and tails share the other common node.